This short series of articles is going to show you how to stream data from a database (MySQL) into Apache Kafka® and from Kafka into both a text file and Elasticsearch—all with the Kafka Connect API. Why? To demonstrate how easy it is to integrate data from sources into targets, with no coding needed! Also stream data to a flat file—just because we can! Whilst you can build this out on your laptop, you can use it as the repeatable basis for building streaming data pipelines that are going to scale horizontally with Kafka and Kafka Connect to handle anywhere from a few messages here and there up to billions of messages per day if you wanted to. Whilst the pipeline built here is pretty simple and linear, with Kafka acting as the “data backbone” in an architecture it is easy for it to grow to be the central integration point for numerous data feeds in and out, not to mention driving real time applications, stream processing, and more. 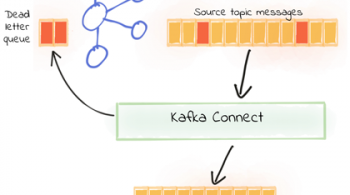 This article presumes that you know what Kafka is, that you appreciate that with the Connect and Streams APIs there’s more to Kafka than just awesome pub/sub distributed messaging at scale, and you’ve drunk the Kafka Connect Kool-Aid. This article presents a nuts and bolts example of building a nice simple pipeline. There are a couple of rough edges on the way, so this is as much for my reference in the future, as your benefit, dear reader…. An important note here is that whilst I’m running this all on a single node, I am still using Kafka Connect Distributed. Why? Because it is a piece of cake to move to a different machine or scale out at a later date if I want to, since my configs and offsets are already stored in Kafka itself. If I’m using Kafka Connect Standalone and wanted to scale out, I’d need to move my config from local flat file and apply them through the distributed mode’s REST API instead. For Confluent Platform, I downloaded the zip and unpacked, but you can also run with Docker if you want. I made a couple of changes to the default config. To use the JDBC connector, you’ll need to make available the relevant JDBC driver for your source database. The connector ships with drivers for PostgreSQL and sqlite—for all others download the appropriate JAR and place it in share/java/kafka-connect-jdbc. You can find the relevant downloads here for MySQL, Oracle, SQL Server, DB2, and Teradata. 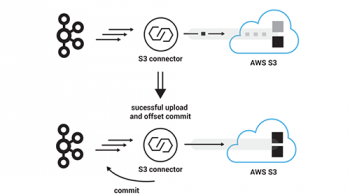 The Confluent Platform ships with a JDBC source (and sink) connector for Kafka Connect. You can see full details about it here. If the task state is FAILED then you need to dig into the error message and fix it before continuing. Check both the state returned from the REST call, and also the logs from Kafka Connect itself. For the full set of functionality of connector management you would use the REST API, the reference for which is here. When working with the REST API directly I use Paw to build and test my REST calls, you can of course use whatever you’d like (a couple of Chrome app alternatives here 1 2). A nice thing about Paw is that it gives you the option to export calls to formats such as curl for easy scripting and re-use. In your console consumer session you should see original first row, plus the additional data appearing in the topic – both the two new rows (c1=2, c1=3), as well as the updated row (c1=1). Kafka Connect supports numerous sinks for data, including Elasticsearch, S3, JDBC, and HDFS as part of the Confluent Platform. There’s also a simple FileStreamSinkConnector which streams the contents of a Kafka topic to a file. Here we’ve built out the first part of our pipeline, streaming changes from MySQL into Kafka, and from Kafka to a text file. Streaming to text files isn’t always so useful, but serves well for a simple example. In the next post in this series we will see a much more common requirement—streaming data from Kafka to Elasticsearch. Thanks for the blog. I’m new to Kafka.. I’m following this article but stuck at loading connector. It’s not immediately obvious what the error might be. You need to check the Connect worker logs. I’d suggest coming along to the Confluent Slack group and joining the #connect channel and posting the question there. You can sign up here: https://slackpass.io/confluentcommunity. Great article. What is the tool you use to create those diagrams? tks. I’ve removed the JSON you posted, as it had some of your internal hostnames in. The best place for support like this is the Confluent Community, on our mailing list, or the Slack group. If you’re using Kafka Connect to ingest your data, you could use Single Message Transform to drop columns – see this blog for an example of this. To filter by row or column any stream of events in a Kafka topic, use KSQL. This enables you to build stream processing applications, using SQL. It’s very powerful! Thanks for the article. I’m using an oracle database and I was getting the exception “Number of groups must be positive.” when loading the connector in incrementing or timestamp mode. how can you stream with the File sink connector to a new file and keep the previous one rename with for example the date when for example reach a size in MB, number of entries, after some time ? The FileStreamSink connector is only intended for tutorial purposes. What you’re describing doesn’t sound like something it would be suited for. You might find the #connect channel on http://cnfl.io/slack useful for discussing what you’re trying to achieve and if Kafka Connect is a good fit for it. With regard to this topic, I wanted to ask, apart from scale, what’s it’s impact on overall latency and burden placed on the source? I read your other article “No more silos…” where it implies that a JDBC connection might not be best suited for larger-volume databases. The best thing to do is look at the workload as it runs and with a DBA assess the impact. Can i use this to load data from a Hive Table into Kafka Topic? Getting it back out of Hive may be possible with the JDBC driver, but I’ve not tried it. Hello I am able to follow this tutorial with Oracle . When I insert /update row from SQL developer it’s going to topic. I have written a spring boot application to insert rows from a different Oracle database . Rows are getting inserted properly but not coming to Kafka topic. Please suggest it very urgent for me. Best place to head for this kind of query is the Confluent Platform mailing list, or Confluent Community Slack group. Hi Robin, How to draw the diagram like confluent architecture diagram ? what tool used to draw handwritten shapes.